The tour does not include the return to the hotel. world: the Sedlec Ossuary. This chapel is decorated with more than 40 000 human bones, arranged into a chandelier, the Schwarzenberg Coat-of-Arms, and so on. Kutná Hora has been on the UNESCO list of cultural heritage sites since 1995. Did you know that in the 14th century Kutna Hora had the deepest mine in the world at over 600 m deep? Did you know that the Cathedral Barbara was originally 5x bigger? 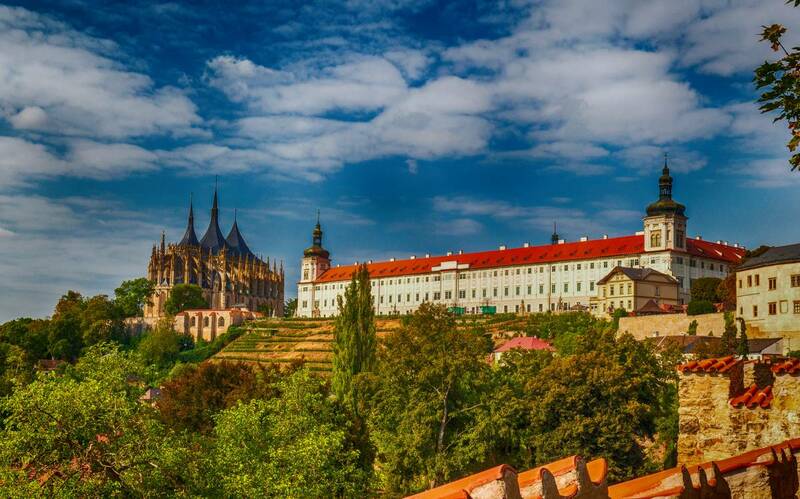 Did you know that Kutna Hora mined one third of European silver? Did you know that the thaler minted in Kutna Hora inspired the name for the U.S. dollar?